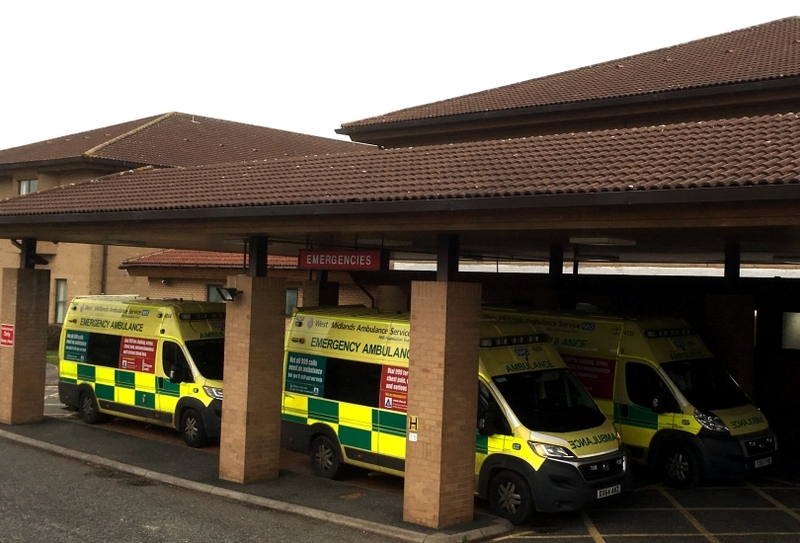 Overnight emergency services at The Princess Royal Hospital (PRH) in Telford could be temporarily suspended on 5 December if efforts to recruit more staff are unsuccessful and assurances are made that every patient pathway is safe. The Board of The Shrewsbury and Telford Hospital NHS Trust (SaTH), which runs PRH and The Royal Shrewsbury Hospital (RSH), will receive an update of the Trust’s Emergency Department Implementation Programme at its meeting on Thursday. This includes the possibility of extending the department’s opening hours from 8am until 10pm should an overnight closure be necessary. The A&E department at PRH currently remains open 24-hours-a-day, seven-days-a-week, however if the recruitment of additional staff is not possible the Board have agreed that an overnight closure will be unavoidable because of the impact staff shortages are having on patient safety. Simon Wright, Chief Executive, said: “Safe patient pathways have been approved, or are in the process of being approved, for the majority of our patients, but more work still needs to be done for head and neck patients, paediatric emergencies and cardiology patients. “Having listened to feedback from numerous patient groups and our own staff we are looking at measures we can put in place to keep the Emergency Department at PRH open for an additional two hours from 8am until 10pm. This will mean fewer patients having to travel out of the county to receive care. We are also looking at how we can improve the service provided by the Urgent Care Centre at PRH. While clinicians at SaTH, with the support of neighbouring trusts and our regulators, NHS Improvement and NHS England, continue to develop the pathways, SaTH will continue to look at ways of avoiding the potential overnight closure. SaTH is continuing in its efforts to recruit more staff to its A&Es. The two MPs, Lucy Allan and Mark Pritchard are working hard with NHS Improvement, Health Education England and ministers to support efforts to keep the ED open by sourcing additional support for SaTH. Last week Simon Wright, along with Telford & Wrekin Council leader Councillor Shaun Davies, attended a meeting with the Indian Consulate in Birmingham to ask if they are able to help provide any staff from India and prior to this Councillor Davies launched an appeal to businesses to help refurbish three houses at the PRH site. These will be used to accommodate junior and middle grade doctors for free, to encourage more staff to come to the Trust. It would make SaTH the only hospital trust in England to offer free on-site accommodation to staff. The Trust is also in the process of creating a new Doctors’ Mess at PRH that would allow access to sleeping pods and much better rest facilities.